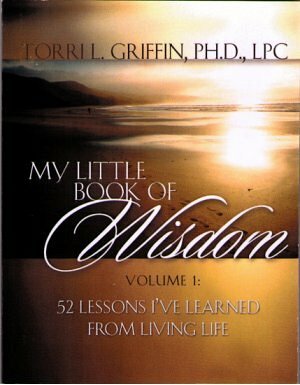 My Little Book of Wisdom, Volume I: 52 Lessons I’ve Learned from Living Life is a remarkable and thought provoking collection of important life lessons that old and young can benefit from. It is a daily dose of wisdom that helps get you through the day in dealing with life’s challenges. As you read this book you will find yourself pondering the lessons your life is teaching you.